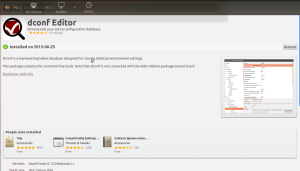 I like the default theme in the Ubuntu, but the orange color that shows the selection is kind of boring. And I like th blue color rather than that. So here is the little trick that I used to change the color to blue. You need to be able to change it easily without going into the complex file structure. 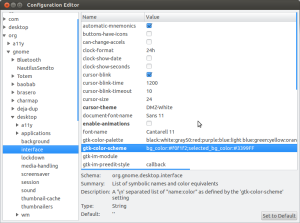 So here is what you need, The Configuration Editor, however there are other options available like the Ubuntu tweak, but this one here is kind of intermediate level tool. And provide you access of the configuration and understanding the system too. Basically it allows you to change the system database without effecting other important things. To download either you go to software center and search for: "dconf Editor". Now just change the color code for the "selected_bg_color" to the one you want. Hope you like it, feel free to leave your comments !